These bars remind me of the beach in so many ways. The super finely flaked quinoa like sand, the coconut brings the tropical vibes, and the goji + mulberry mix tastes like sweet sunshine. 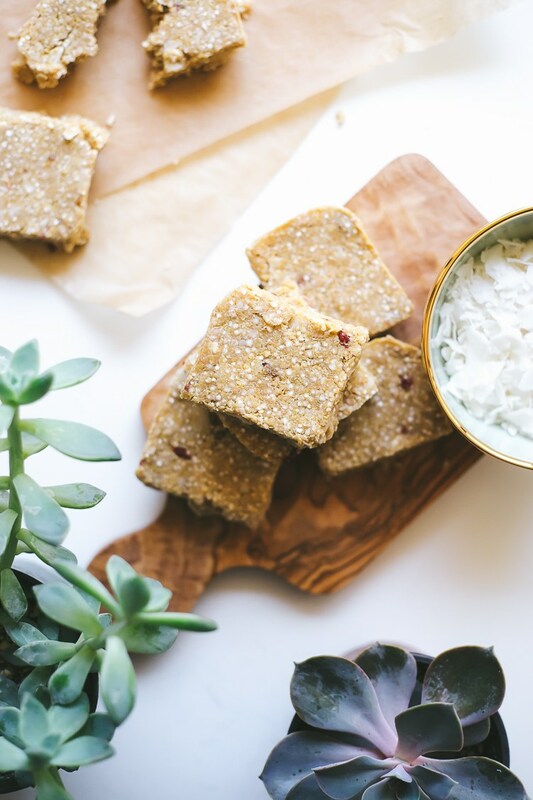 The mellow cashew butter is the perfect compliment to the flavors mingling in these bars.